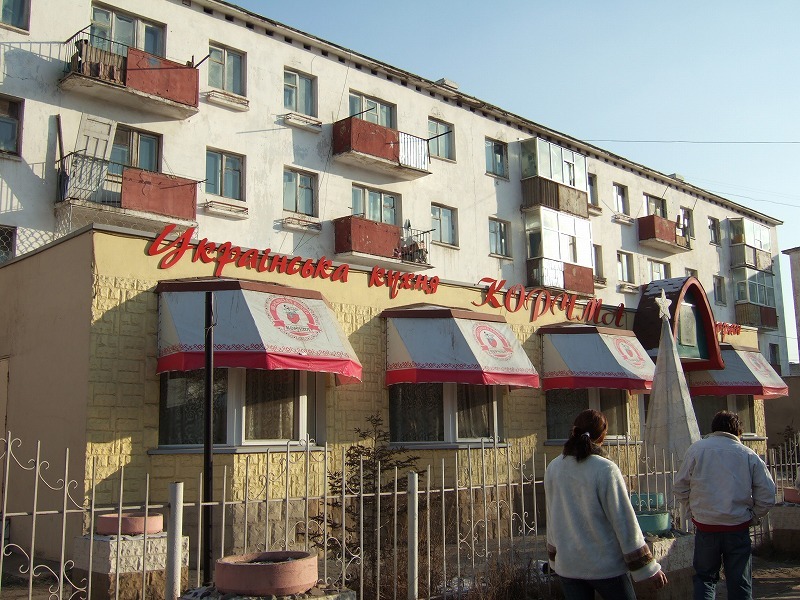 I had lunch at the Ukrainian restaurant named Ukraine Kitchen that was one of the most popular restaurants in Ulaanbaatar. I heard that they had some branches in Ulaanbaatar. 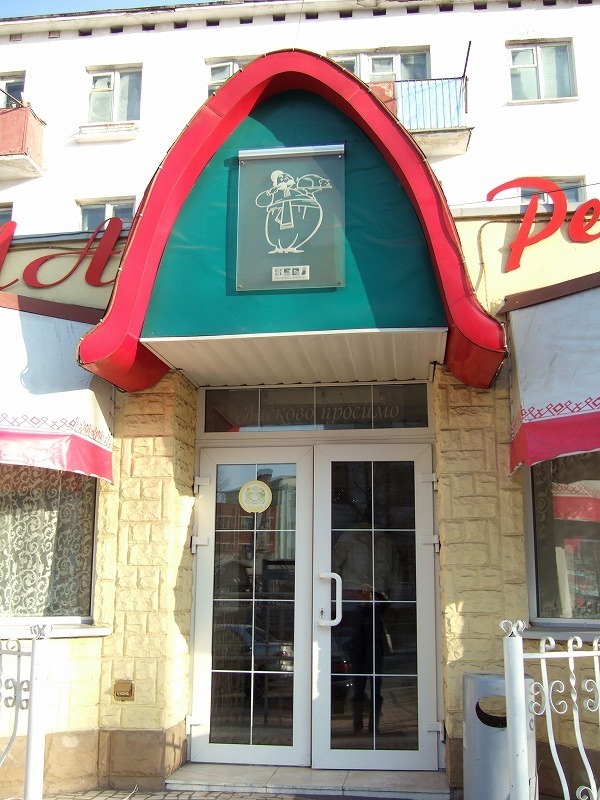 This restaurant is located in front of Kharaa Hotel (Lonely Planet Mongolia , p. 73) on Partizan Street. 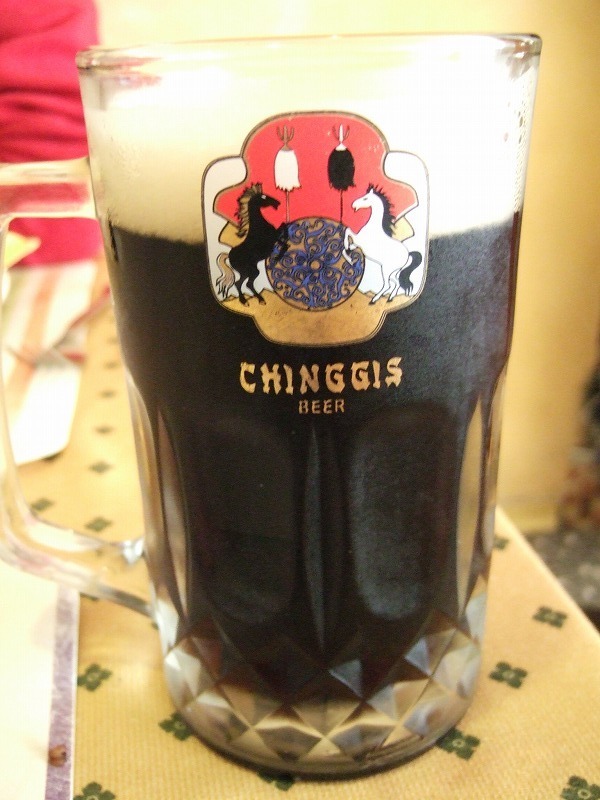 First of all I had black beer of Chinggis Beer. Then I had borscht. 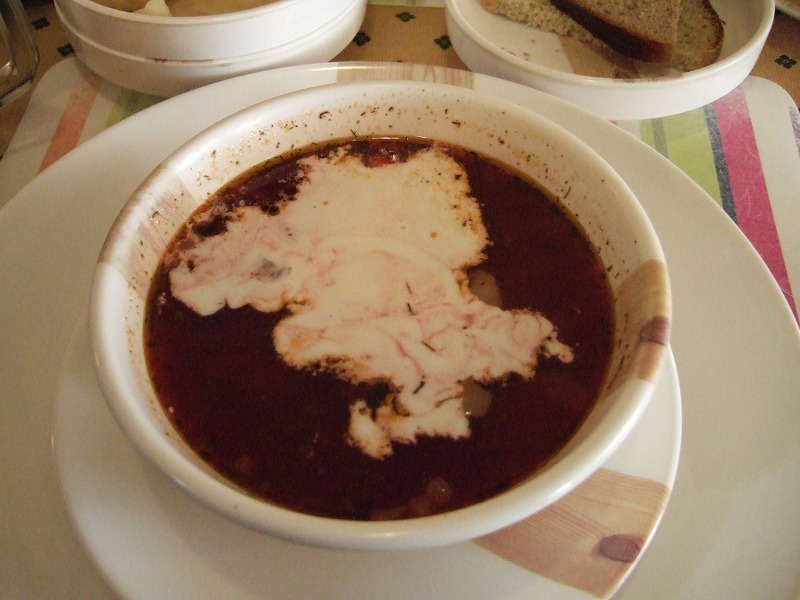 This borscht is very popular in this restaurant. 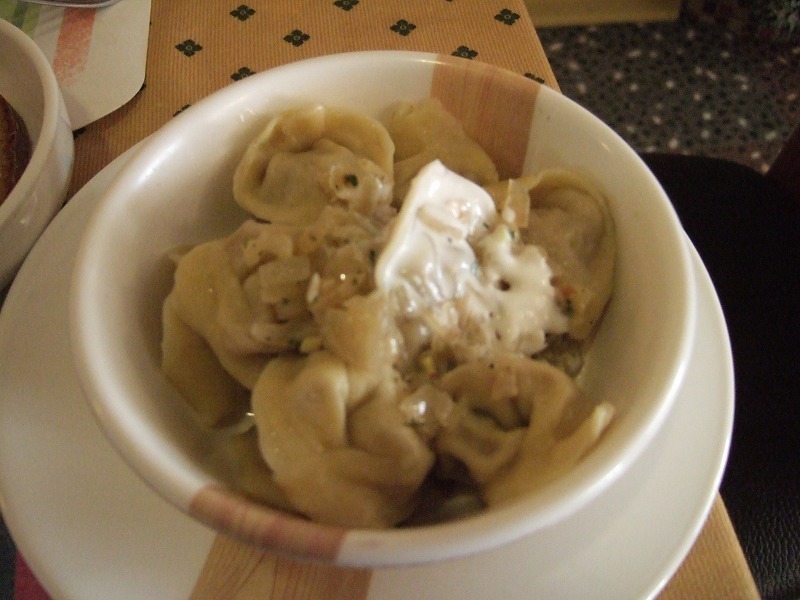 The photo shows dumplings called bansh. I think this restaurant is very good.